Today is the first day in my running career that I did not finish the full distance of a race. 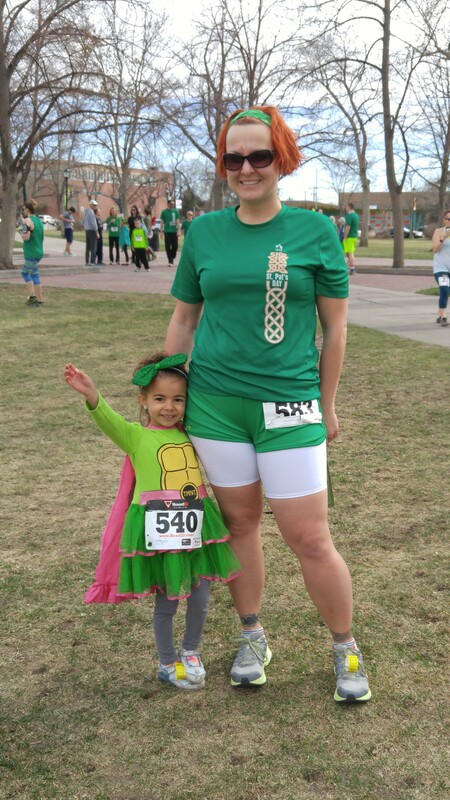 I ran the 5K on St. Patrick’s Day (not on St. Patrick’s Day) with my (nearly) 5 year-old. She did not do as well at the race, however. I would have assumed that she would have done better in the morning on a completely flat course, but that was not the case. She bolted off in the first half mile, very motivated and having fun. We took a walk break and made it through the first mile. In the second mile, the whining started. Her feelings had been hurt by a friend we were running with, and I think that was part of it, but she was still reasonable. We agreed to do intervals between stop lights, walking then running. She ran like a little champ past her daddy and brother as we rounded past the start for the final leg. Then she hit what I assume to be a baby wall. 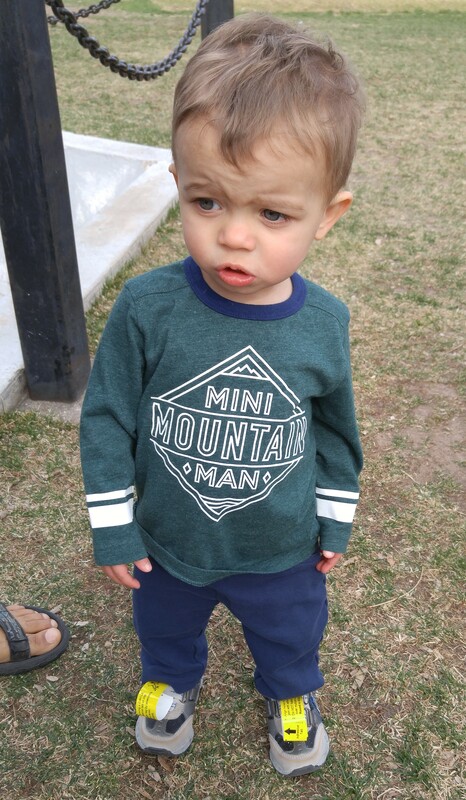 The whining became constant. I had to pretty much drag her at a walk. She complained and repeatedly begged for me to hold her. I am familiar with how she was feeling. I have hit that wall and felt that way MANY times in MANY races. As my friend pointed out, they have no filter at this age; they just let their suffering and insecurities hang out. She has had these whiny phases before when we have run. Usually, they pass, and we can make some progress. This time, it was relentless. I tried to encourage her; I tried to push her; I tried to motivate (read: bribe) her. She would not be moved. At some point, she just seemed to be suffering, and I was about ready to come out of my skin from her whining. Instead of finishing the leg, I drew the line, and we turned around early, turning 3.2 miles into 2.4. My daughter continued to whine and even spouted some tears. Yet, at the end, she managed to power through and finish running. At the time, I was definitely very irritated. Whining grates on my nerves, and not finishing the race, of course, irked me. But I know she is young, and running a 5K is a lot to ask of her tiny body. I am ok with her having a rough time. I am ok with her not being able to run much or complete the full distance. My concern and my confusion is more on what I should be doing in these instances as her mother. More than once on the race, when she begged me to hold her, I wanted to. I wanted to pick her up and just make it better. I did not because I did not want to teach her to just give up. I want her to learn to challenge herself and push herself. But she is only 5 years-old, so where is that line? When am I challenging her and when am I pushing her too hard? Where is the line between pushing through and sucking the fun out of it? So while I am at complete peace with the mess the 5K turned into and do not even really wish I had run it by myself instead, I do now find myself questioning this facet of my parenting. I am caught between not wanting my daughter to grow up to be like me, coasting through life and never challenging herself until in her 30s after she has children, and not wanting to try and fix my mistakes through her. I want to teach her how to challenge herself and succeed and also how to fail. I fear I’ll be asking myself these questions her entire childhood. But with a 5 year-old, how far do you push her? 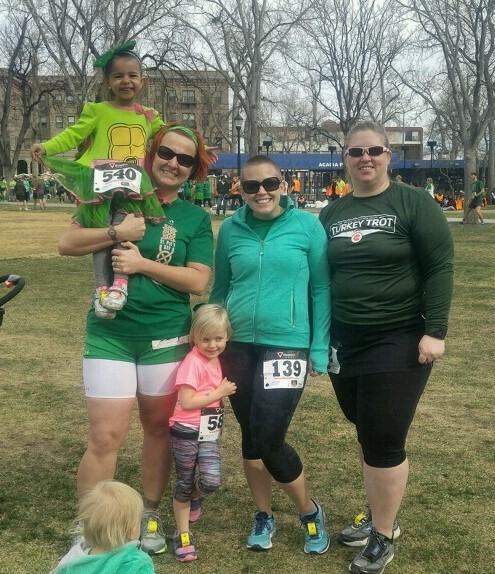 Beyond the child drama and the parenting paradigm questioning, the race was a success for running mate Michelle. She smoked us mommas and preschoolers and laid down some good miles, finally coming out of recovery from her respiratory illness.